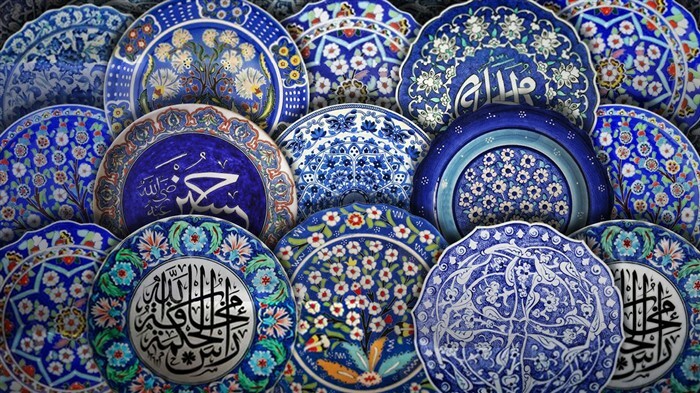 Our customers often ask us about the best souvenirs to buy in Turkey, and we always have plenty of suggestions. Whether you want a memento for memories or gifts for friends back home, holidaymakers will be delighted to know there is a wide choice on offer from the cheap and cheerful to exquisite handicrafts. However, before we list our favourite souvenirs, we have two tips for shoppers. About Apple Tea: Often sold as a souvenir, many people assume apple tea is a part of cultural Turkey, but it isn’t. Somewhere along the lines, it has become popular with foreigners, and many shop owners now offer it as a beverage. Don’t get us wrong. It’s delicious and easy to make, but Turks rarely drink it. Buying Expensive Souvenirs: Three favourite but expensive souvenirs in Turkey are gold, leather and carpets. To purchase any of these, brush up on your bargaining skills first. Otherwise, you could pay more than needed. This age-old tradition is not just a monetary transaction but cultural banter that can be good fun at the same time. The seller states their price, and you respond with one that is roughly 40% cheaper. He/she then gives you a new rate, and the bargaining goes until a mutual price is agreed. Expect it to be a long drawn-out affair, with lots of laughs and fun. Everywhere you go in Turkey, you’ll see the evil eye. In hotels, bars, restaurants, shops and places of business. Some Turks even have them in the home. It is not religiously symbolic, but more of a talisman used to ward off jealousy, and envy. Called the Nazar Boncuk, the round blue circle, with white and sometimes yellow rings in the middle is a country favourite. 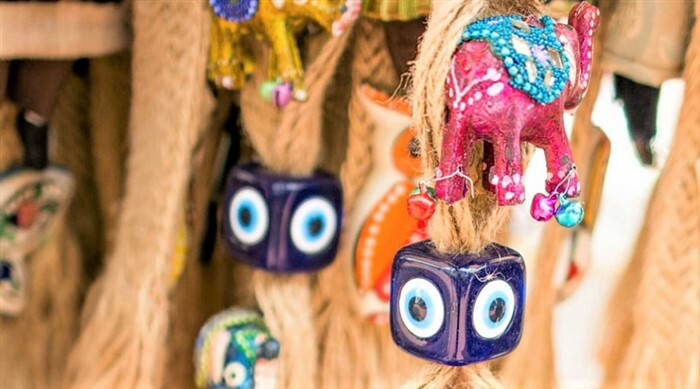 Without a doubt, the evil eye is Turkey’s most popular souvenir. Sold as keyrings, jewellery, ceramics, bookmarks, stationary, and much more, pay next to nothing for a small one, or hundreds of pounds for one crafted by an artisan. 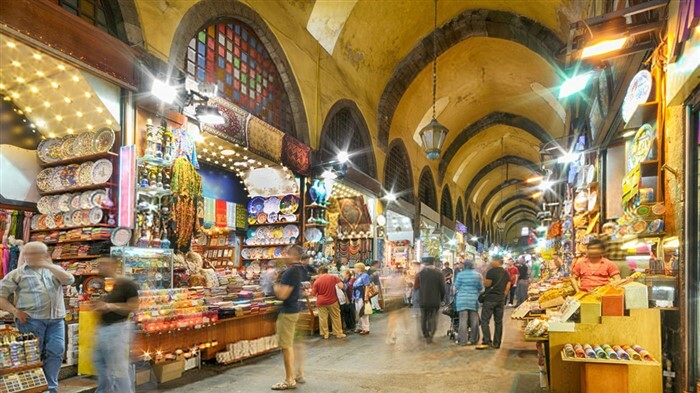 To jazz up your pantry with some new, exciting tastes, go spice shopping at the Egyptian spice bazaar in Istanbul or at the local weekly market, wherever you visit. Sold loose or in packets, the pleasant aroma of spices include Sumac, hot red pepper flakes, Yenibahar (Turkey’s version of All Spice,) Turkish paprika (one of the best in the world) and black cumin. Also sold in decorative gift packs, these are great as presents for friends and family back home. Be aware of Turkish saffron though because it is another version and not the real deal. 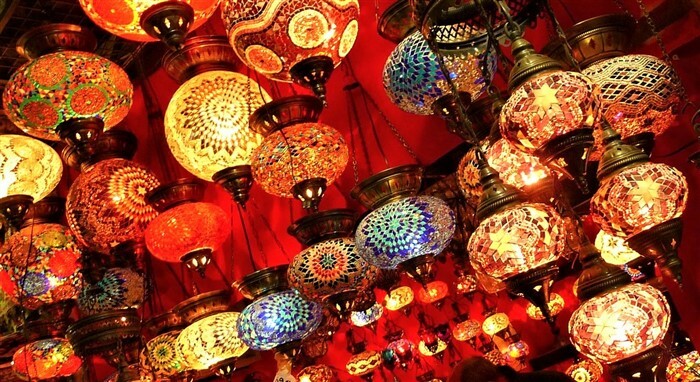 When you buy a Turkish mosaic lamp, you are taking home more than just a souvenir. The exquisite pieces of handcrafted glass and brass are centuries of tradition reflected in one beautiful keepsake. Sold as lamps or candle holders, they totally change the atmosphere of a room, and the colours used, shine through even more brilliantly when the light is on. Gourd lamps, another cultural tradition are more durable. Ideally suited to outdoor areas, they are often made from dried pumpkin or butternut squashes and include small pieces of coloured glass, that make a colourful kaleidoscope when switched on. During the Seljuk and Ottoman rule of Turkey, artisans upped their game and attracting the attention of royalty, ceramics became a collector item. If money is no object, look for Iznik ceramics, that are the crème de la crème. They are to Turkey what Royal Doulton is to England. Kutahya is another respected area producing collectors’ ceramic items. Sold as plates, jugs, cups, bowls and much more, always check the bottom stamp to make sure it is not an imported and cheap Chinese version. 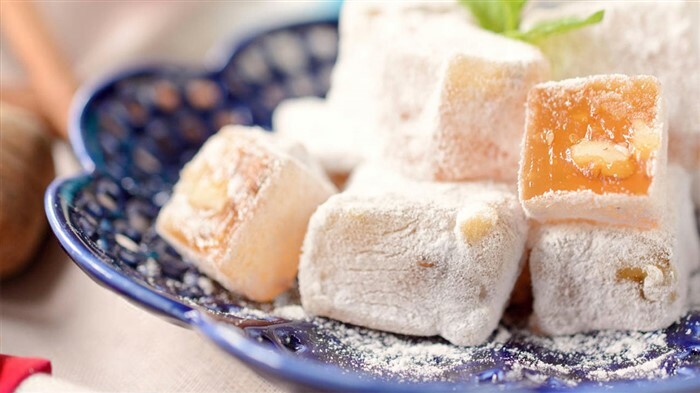 We dare anyone to taste Turkish delight and not feel compelled to pack boxes in your suitcase. The sweet, light taste of many different flavours is irresistible. In Istanbul, the Haci Bekir shop in the Eminonu district is the best and most authentic place to buy it. 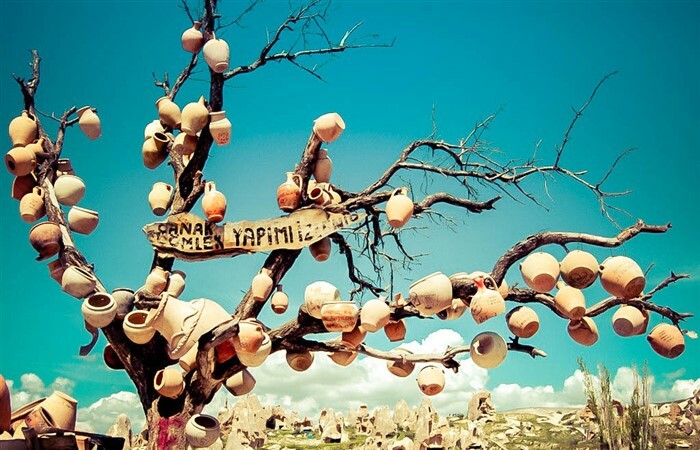 Cappadocia, the 3rd most popular tourist destination in Turkey, excels in handmade pottery. The Avanos district, famed for pottery made using clay from the nearby red river is the heart of production, although shops all over Cappadocia sell it. Creative holidaymakers should head to the pottery workshops, to sit on the old-fashioned wheel, and craft your own pieces. These are just a splattering of ideas for the best souvenirs to buy in Turkey, but the country excels in creative artisan work, and more choices include copper, nargile pipes, carpets and kilims, onyx and leather production. Our article listing Turkish phrases and words for beginners will help tourists navigate basic daily greetings and situations like asking for bills. 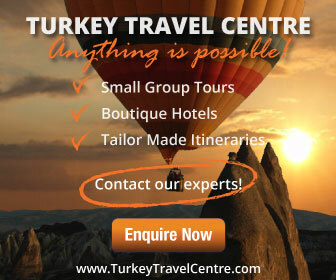 Also, brush up on your general knowledge with these ten facts about Turkey. 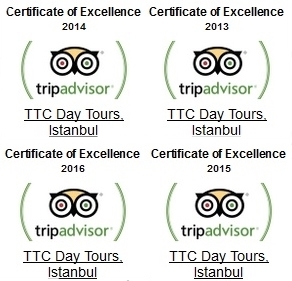 Otherwise, for more ideas of what to do and where to go, our Turkey tour page has plenty of suggestions for families, couples and solo travellers.